Jordan went above and beyond what we ever thought possible in helping us buy our first home. He even rented a U-Haul and personally picked up a massive pile of garbage left behind by the previous owner. I can't thank Jordan and Brandy enough for their efforts in making our purchase and move a smooth one. We highly recommend Brandy. Her experience and optimism helped market our house to a very happy buyer. We sold this house remotely so Brandy and her team successfully managed our needed renovations without our daily involvement. Very focused on our needs and her follow-through was always there to ensure the right things happened. We think any seller would really benefit financially working with Brandy. She got more money for our house than we expected so very happy about her results. An excellent communicator who kept us very informed. A truly overall 5 star experience. From the first day we met up with Brandy, she was exceptional. The knowledge and timeliness in buying our home was more then I would've expected out of an agent. She made the process extremely fast, easy and enjoyable. She definitely exceeded our expectations and I'd highly recommend her to anyone. Brandy and her team went above and beyond to answer all my questions, schedule contractors, get the house staged, and get the house sold in a timely fashion. Tiffany was great to work with, she was always available to go look at homes and made the process of buying my first home convenient. I definitely felt like she was working for me and making sure my home buying needs were taken care of in an efficient, timely matter. She is the best! Tiffany is extremely knowledgeable, responsive, and advises based on the customers wants and needs in purchasing a home. She was really helpful with negotiations and made sure they were in my favor. I learned a lot from working with her and highly reccomend using her as a realtor. Absolutely recommend the Pennington team! From our first home purchase experience to our recent sell, they were there to help all the way. Wether you are planning to purchase or sale, this is the team to go to. We couldn't be happier with their services! Someone once told us, if you are looking to buy a house fast and with a very knowledgeable realtor, Brandy Pennington is the way to go! We didn't think twice in contacting her when it was time to sell. Glad to be the one recomemending her now. I worked with Jordan immediately upon arriving in Alaska from California, seeking a home for purchase. Coming in from the lower 48 not knowing anything about anchorage, Jordan and his wife, both lifelong Alaskans, went above and beyond to guide me toward the parts of Anchorage that fit my housing needs and were quite patient with me along the way. Additionally, they welcomed me to this city and helped integrate my lifestyle to a more Alaskan way of doing things. Superb service from start to finish. Brandy is a very attentive and superb landlord. During the 15 months I rented from her, she was very quick to solve any issues I came across. She set the bar very high as far as renters go. I would definitely recommend renting from Brandy Pennington. Tiffany was excellent, she was incredibly accommodating and patient. She spent many hours showing us homes, and even more time walking us through the home buying process step by step. We were first time home buyers and Tiffany was encouraging and informative from start to finish. She is responsive, present, and emotionally invested in seeing her clients find a dream home. We now live in the perfect house for us because of Tiffany's persistence and professional know how. Brandy was very helpful navigating the Alaska real estate market as there are many things that are different from the lower 48. If this is your first house purchase in Alaska, it can be different than what you are used too. She helped keep us calm navigating the process, provided lots of valuable insight to the market and neighborhoods, and made up for several short comings from the listing agents side. She kept the pressure on and we closed on time and are in an Awesome house. Bottom Line, she was right there every step of the way and still available after the deal closed should we need help with anything else. Thanks for all your effort. This was my first time buying a home, I thought that since I was only buying an inexpensive condo that I wouldn't be treated very well. Brandy was very helpful all the way through the process. Also more importantly she helped me hammer out an issue with my HOA long after I moved in and closed the deal. Would recommend to anyone purchasing a house. Jordan and Brandy Pennington were Blessings to our family. We were tenants from April 2015 to May 2016. They are knowledgeable, courteous, respectful, family oriented individuals who were ALWAYS available when we needed anything regarding our home. They are truly both the epitome of what a realtor should be..TRUSTWORTHY and RELAIBLE. We were always treated like family. Thank you Jordan and Brandy! I had a great experience with Jordan and Brandy with Dwell Reality. We closed on my dream starter home in 19 days! I am in my new house writing this review and it's thanks to the Penningtons. Jordan is a family man just like myself and gave me advice upfront. He is very professional, considerate, and available at a calls notice. I am thankful for having Jordan and the sellers' honesty and care during this process. The house is in amazing condition and came with additives I am glad to have. Good neighborhood with good neighbors, best house warming ever! Brandy Pennington helped me sell my house and I was hundreds of miles away. Brandy and her team got estimates and had contractors get my house ready to sell. I am a service member currently stationed on the east coast and selling my house was stress free thanks to her expertise and professionalism. I would recommend any one who wants to buy or sell to give Brandy a call because she knows what she is doing and has a passion for what she does. Jordan and the Pennington Group pended my house in 6 days and closed it in 2 weeks! They were on top of it, making the transaction go as smooth and quickly as possible. I would highly recommend Jordan and the Pennington Group! I worked with Jordan and his wife Brandy to sell my home and they exceeded all expectations. Jordan was extremely helpful every step of the way. He always had great advice and answered every question I had knowledgeably. He was timely with everything he did and was able to help me understand what needed to be done to make my home as attractive as possible to potential buyers. I had a lot of showings the first week it was listed and received a great offer which I took. I couldn't have been more pleased to have worked with Jordan and I am so grateful that he was able to help sell my home so quickly for such a good price. Brandy is definitely motivated, responsive, and personable. 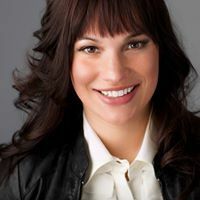 She’s truly a problem solver that will give you the best advice on what to look for in Alaska’s real estate market. She makes buying and selling real estate easy to understand and walks you through the whole process. I appreciate how she’s always available when calling or texting. I highly recommend Brandy as your Real Estate Agent. We were referred to Brandy and her team for their ability to sell a house quickly. They sold ours in 6 days, for asking price. That pretty much says it all. I've worked with Ms. Pennington for several years now, she has worked with me through several home purchases, and now property management. Her communications skills are above average, she has worked with me through the purchase of a home while overseas and now while overseas again she is managing my property in Anchorage. Ms. Pennington is the consummate professional, every detail is addressed and desired outcomes are a regular course of action and become the expected norm. Her friendly demeanor is refreshing, yet she is quite pragmatic when addressing problem properties, her prescreening of tenants has removed the risk associated with renting a property. Best of luck Ms. Pennington in your future endeavors. Brandy helped me buy my first house. She was able to find everything I wanted: newly built, centrally located in Anchorage, within my price range. It only took about a week of looking around before I found my dream house. She's from the area and knows a lot of local business and how the area flows (traffic, safety, etc...). She's also very friendly and family oriented, which made her very personable and a pleasant to work with. Once I found the place I wanted she was able to quickly secure it under the listed price. Brandy was very efficient in finding my wife and I a house. She was able to find us the perfect home that my wife is in love with. I hate having to move but knowing we got the house we wanted made the move easier. She was able to walk us through all the steps and helped us negotiate a great deal. She even showed up to our signing at the title company, she was involved in every step. I have spoken to friends about my great experience. If you need a hardworking agent who listens to you, she is your agent. When we sold our home in Arizona we used an agent who was horrible, and she made me forget about that awful experience. Brandy did an excellent job closing our deal - we got in at just the right time and everything went smoothly. We really appreciated the way she helped us get what we needed and wanted. She's great! I loved working with Brandy! If I ever buy another house or a rental property I will be contacting Brandy! I have already referred her to friends! She made the process of buying a house way to understand and helped get me into my home as fast as possible! I thought it would take months to get everything going - from my first proposal to me getting into my home only took me a month! Thanks Brandy! We used Brandy based on a referral from a previous pleased client and we weren't disappointed. We were moving from Austin, TX into a completely new area and Brandy was so helpful, not only with the buying experience but with helping us get to know the area. This is our fourteenth home buying experience so we have dealt with many realtors and would put Brandy right at the top of the list. Brandy and her husband, Jordan, both worked hard to help me find the house that I wanted. They helped me get in contact with the right people to get my loan. Pretty much they just helped me buy my house (which is awesome). Brandy went out of her way to make sure we sold 2 homes and at the same time found the home we were looking for and needed for our family. I would recommend Brandy to anyone who is looking to sell or buy a home. Working with Brandy was a delight. Very energetic, knowledgeable and smart. Even though she was not the listing agent, whom I would definitely not recommend, Brandy was there for us, helping us buy the house we wanted. Thanks Brandy! Also found a buyer for the house we were selling, and it didn't ever get listed. I highly recommend Brandy as an agent. She was so helpful and great to work with. I don't know if I could have sold my home without her help. Thanks again! I have worked with Brandy for several years and I refer all my friends for their Real Estate needs to her as well! She is very professional, prompt and very knowledgeable of our sales market. She is quick to find an answer and thinks outside the box to solve problems. I highly recommend her services and I will continue to use her in the future! I started working with Brandy in 2013. She is a hard and dedicated worker. She went out of her way to find out my personal style and comfort zones to find me my perfect condo. I can not say enough about Ms. Pennington. Till this day she is always checking up on me and my needs. On top of all that she is always the first to let me know of any functions her real estate company are hosting and drops off a treat at my front door every Christmas. As long as I'm in Alaska and need a realtor I am sticking with Ms. Pennington. Highly recommended! Brandy and her team far exceeded my expectation of the kind of service and representation a client should receive. I’m high energy with a driven personality, and Brandy was there to match me equally through my home shopping experience. Brandy was really responsive and available throughout my buying process. Actually, I don’t think Brandy sleeps much since she responded to my texts all day and into the evening hours. Who does that anymore? Their customer service was impeccable. Brandy and her team made me feel as much a part of their team during this journey, and considered my investment at each property we viewed. After a long journey and what seemed like forever, I made an offer on a new construction home for the kids and myself. During the building process, Brandy and the team checked in with me out of courtesy and managed any issues that came up during the process. Highly recommended? Yes, and so much I had referred her to my folks, which is another success story I allow my folks to say in their review. Brandy is the ultimate professional. My husband found a duplex we loved that just opened up and called Brandy at night to check it out. We went around the property with a flashlight and Brandy walked us through the whole purchase. It was so fortunate that she was so willing to help us on such a quick turnaround since 3 other offers came in the same day! She talked with us about the best options given the hyper competitive interest in the property. When our offer was selected, Brandy helped us some of the bank issues that came up. I would most certainly recommend Brandy to anyone looking to purchase a house in Anchorage. Brandy helped us buy and sell our home. She is amazing. She knows the area and the surrounding areas very well and makes the whole process very easy. She kept us informed the whole way and answered all of my many questions. I definitely recommend her to anyone who is buying or selling a home in the Anchorage area. If you want someone who is reliable and will make the whole process easier for you then Brandy is the realtor for you! HGTV Experience! I've contacted a few real estate agents but I ultimately went with Brandy because of her work ethic and expertise. I'm military and was recommended a few agents from numerous sources. The agents that I've met weren't as responsive and weren't as flexible as Brandy. The places she found met all my requirements. Her expertise and her connections helped me with the buying process since I was a first time home buyer. The entire process was streamlined. It was like being on HGTV's Property Virgin! If you want someone who knows the town and is passionate about real estate, I highly recommend Brandy. as a disabled person, I couldn't imagine how to prepare my home or have it shown. Brandy was invaluable in preparing my home, showing it, and selling is for more than asking price. The final sales price covered every home improvement she took care of for me, labor costs, staging cost and her commission. My house looked so beautiful it was hard to imagine it was my house, and after it was listed, it sold in two days. Kudos to Brandy. Brandy helped me purchase and sell properties in the last 12 months. Both transactions were handled professionally, efficiently and profitably for me. Brandy was wonderful throughout the whole home buying process. She made looking at houses fun and was completely responsive to our needs. Her actions were extrememly timely making our whole experience successful. She went above and beyond what we expected from an agent. She is very professional and great at what she does which made the process so much easier. I highly recommend her whole heartedly! Most real estate professionals would have sold us any home just to get the commission and move on, Brandy not only took the time to work with me and find a home but also helped me set up an investment program for me and my children's future, Brandy is personally dedicated to her clients and their lives. As a single mother, working with Brandy was a great experience she even provided additional information on certain property locations and the surrounding areas that I had been concerned about. All angles of her business demeanor were excellent, even up to the point of her being patient with us and working with us to get our "p's and q's" crossed and ready on our end for homeownership. Brandy is an amazing woman. She sold my house so quickly that I simply couldn't believe it! She negotiated a great price. She made sure the house was picture perfect. She is the best! As a first time home buyer, I came to Brandy knowing nothing. From day one she worked tirelessly to help me understand the in's and out's of purchasing a home. She also kept options open for me, and didn't make me feel rushed. It's obvious she put thought and time into the homes we looked at, and she kept an eye on the details for me. Not letting one certain aspect of a home take over my decision. She gives great advice and takes care of business. The entire process was smooth and pleasant, and I'm still very happy with my home. If I buy or sell again in Anchorage without a doubt I will use her. My final thoughts: Brandy is fantastic, go with her!